It’s like going to another country; a thrilling and vibrant cultural meltingpot and inspirational Brigadoon that appears every year or so. 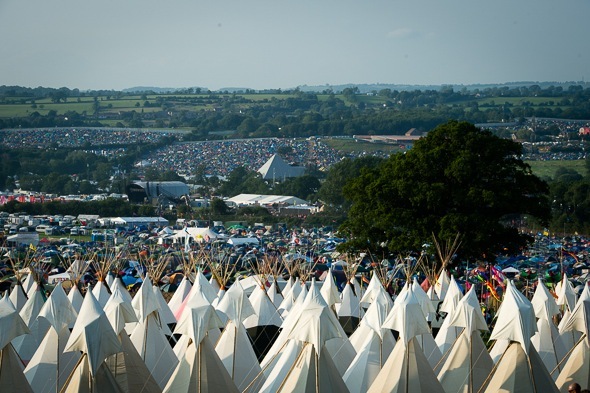 Coming to Glastonbury involves a fair amount of travel, and probably a queue to get in but, when you get past these impediments, you enter a huge tented city, a mini-state under canvas. British law still applies, but the rules of society are a bit different, a little bit freer. Everyone is here to have a wild time in their own way. But that busy whirl of excitement is not to everyone’s taste. To accommodate the more laid-back reveller, more chilled out areas like the West Holts and Acoustic areas are in easy walking distance. If that’s still not the relaxed state a Glasto-goer is after, there’s also family oriented areas like the Kidzfield, the Theatre and Circus fields. And if you’re into the more alternative, less noisy aspects of festival life, you can always head up to the Field of Avalon, the Tipi Field, and the Green Fields. At the top of the site is the Sacred Space – the stone circle is a modern construction, but it has already seen as much celebration and ceremony as some of its forebears. Sun-up on a Sunday morning, with drums and torches and chanting and an astonishing measure of joy from the sleepless revellers at the Stone Circle is a glorious sight to behold. 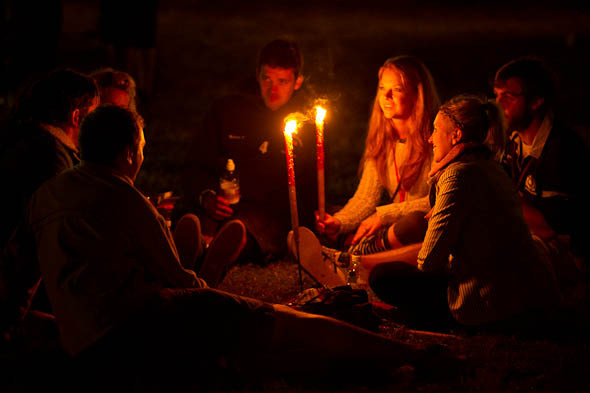 The Festival takes place in a beautiful location – 900 acres in the Vale of Avalon, an area steeped in symbolism, mythology and religious traditions dating back many hundreds of years. It’s where King Arthur may be buried, where Joseph of Arimathea is said to have walked, where ley lines converge. And the site is ENORMOUS – more than a mile and a half across, with a perimeter of about eight and a half miles. Then there are the people; thousands of them in all their astonishing and splendid diversity! 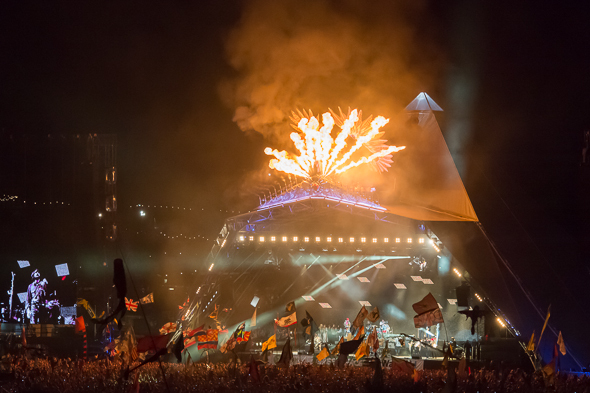 There is only one common characteristic of a Glastonbury-goer – they understand that Glastonbury Festival offers them more opportunity than any other happening to have the best weekend of the year or even of a life-time, and they are determined to have it! You’ll meet all kinds of people, of all ages, backgrounds, nationalities, lifestyles, faiths, concepts of fashion (or lack of it) and musical taste. Some will undoubtedly wear silly hats or buy shirts that they’ll never wear again… until next year, that is. 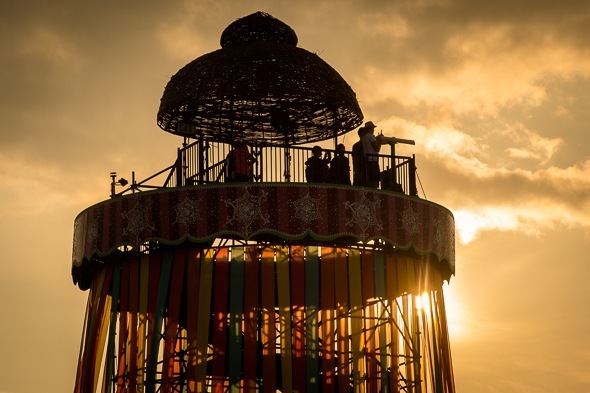 The overall vibe of the Festival is consistently mellow and friendly, even in the event of rain and all that comes with rain, a field and thousands upon thousands of tramping feet.